With all attention now being on new iPhone devices, it is easy to forget about the new version of iOS. While new iPhone models were mostly secret until announcement, everyone could test iOS 11 for months before the official release. Out previous article touches the issue of iOS 11 forensic implications. In this article we’ll cover what you can and what you cannot do with an iOS 11 device as a forensic expert. We’ll talk about which acquisition methods still works and which don’t, what you can and cannot extract compared to iOS 10, and what you need to know in order to make the job don’t. iOS 11: jailbreaking, backups, keychain, iCloud – what’s the deal? iOS 11 is finally here. We already covered some of the issues related to iOS 11 forensics, but that was only part of the story. Should we expect a jailbreak? Is there still hope for physical acquisition? If not, is logical acquisition affected? Are there any notable changes in iCloud? What would be easier to do: logical or iCloud acquisition, and what are the prerequisites for either method? What do you begin with? How to make sure the suspect does not alter their iCloud storage or wipe their device in the process? Can we actually get more information from the cloud than from the device itself, even with physical, and why? Spoiler: the short answer to the last question is “yes”. The long answer is a bit complicated. Keep reading. Posted in Did you know that...?, Elcom-News, Security, Software, Tips & Tricks | Comments Off on iOS 11: jailbreaking, backups, keychain, iCloud – what’s the deal? Each iteration of iOS is getting more secure. With no jailbreak available for the current version of iOS, what acquisition methods are available for the iPhone 7, 7 Plus and other devices updating to iOS 10? How does the recent update of Elcomsoft iOS Forensic Toolkit help extracting a locked iOS 10 iPhone? Read along to find out! When iOS 8 was released, we told you that physical acquisition is dead. Then hackers developed a jailbreak, and we came up with an imaging solution. Then it was iOS 9 that nobody could break for a while. The same thing happened: it was jailbroken, and we made a physical acquisition tool for it. Now it’s time for iOS 10.2 and no jailbreak (again). While eventually it might get a jailbreak, in the meanwhile there is no physical acquisition tool for iOS 10 devices. Considering that iPhone 7 and 7 Plus were released with iOS 10 onboard, your acquisition options for these devices are somewhat limited. With no jailbreak available for iOS 10, what are your options? If you have the latest Elcomsoft iOS Forensic Toolkit, use “plan B” instead! Posted in Elcom-News, Tips & Tricks | Comments Off on How Can I Break Into a Locked iOS 10 iPhone? 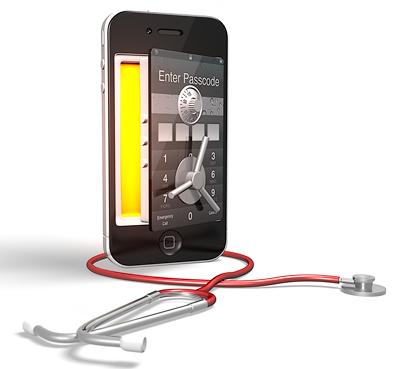 iOS Logical Acquisition: The Last Hope For Passcode-Locked Devices? For many months, a working jailbreak was not available for current versions of iOS. In the end of July, Pangu released public jailbreak for iOS 9.2-9.3.3. A few days ago, Apple patched the exploit and started seeding iOS 9.3.4. This was the shortest-living jailbreak in history. With iOS getting more secure with each generation, the chance of successfully jailbreaking a device running a recent version of iOS are becoming slim. While this may not be the end of all for mobile forensic experts, we felt we need to address the issue in our physical acquisition toolkit. Posted in Did you know that...?, Elcom-News, General, Tips & Tricks | Comments Off on iOS Logical Acquisition: The Last Hope For Passcode-Locked Devices? So you’ve got an iPhone, and it’s locked, and you don’t know the passcode. This situation is so common, and the market has so many solutions and “solutions” that we felt a short walkthrough is necessary. Big news! iOS Forensic Toolkit receives its first major update. And it’s a big one. Not only does version 2.0 bring support for iOS 9 handys. We also expanded acquisition support for jailbroken devices, enabling limited data extraction from jailbroken devices locked with an unknown passcode. Last but not least. For the first time ever, we’ve added physical acquisition support for 64-bit devices! We’ve done what was long considered to be impossible. Intrigued? Read along to find out! Can’t wait to see what can be done to 64-bit iDevices? Skip right to that section!